Come along to the exciting events we have on this week starting on Wednesday! We warmly welcome you to join our festivities as we celebrate this Christmas. There is something for everyone! 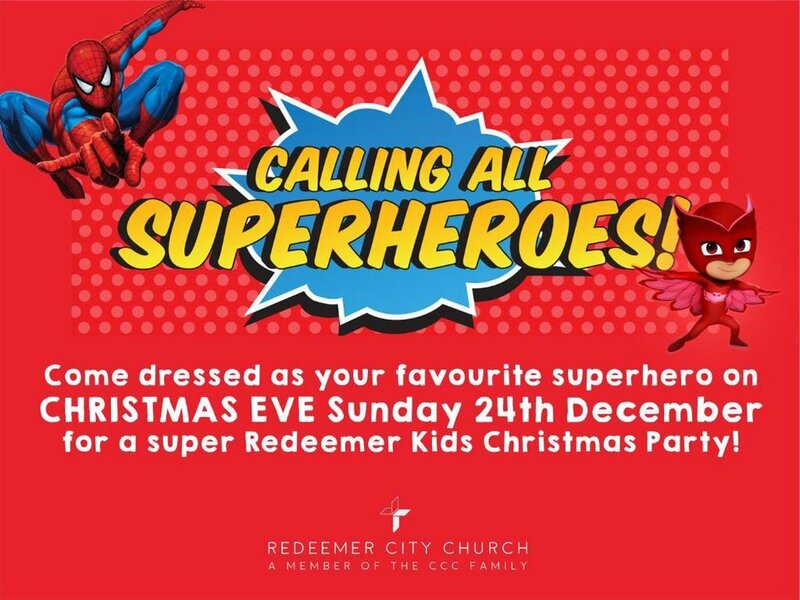 Together, Redeemer City Church and 4pm CCC are hosting a cheese and wine evening for women*, and we would love to see you there! This evening, we’ll be looking at what makes up the perfect woman. Is it that magical mixture of ambition, compassion, gentleness and the ability to multi-task, all whilst looking good? What defines us as the women we are now? Or is this merely an unachievable construct that society has created? And what does the Christian God say about this, if anything? Doors will open at 7pm, for a 7.30pm start. * Please note that this is an 18+ event only. Saturday @ Chatswood Youth Centre. In Chatswood this Thursday? We will be (from 9am till 9pm). Come swing by our stall (just a couple doors down from Commonwealth Bank) for a friendly chat and some free activities! 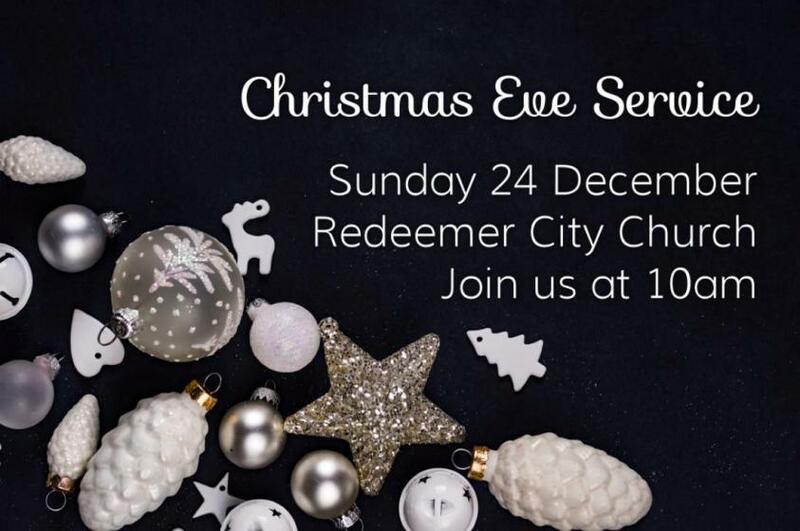 Come along for some festive fun as we celebrate the good news that God has purchased us the greatest gift of all! Curious about who Jesus is? Got plenty of questions about life and death and about God? You will have a wonderful opportunity to hear an answer to these questions! Whether you're familiar with Jesus or not, we would love for you to come and enjoy a free, hearty meal with us over some meaningful conversations! Phillip Jensen (Two Ways Ministries) is our Keynote speaker who will be explaining to us the great news that Christians celebrate during Christmas! Phillip will also be running a Q&A session to address questions directly. 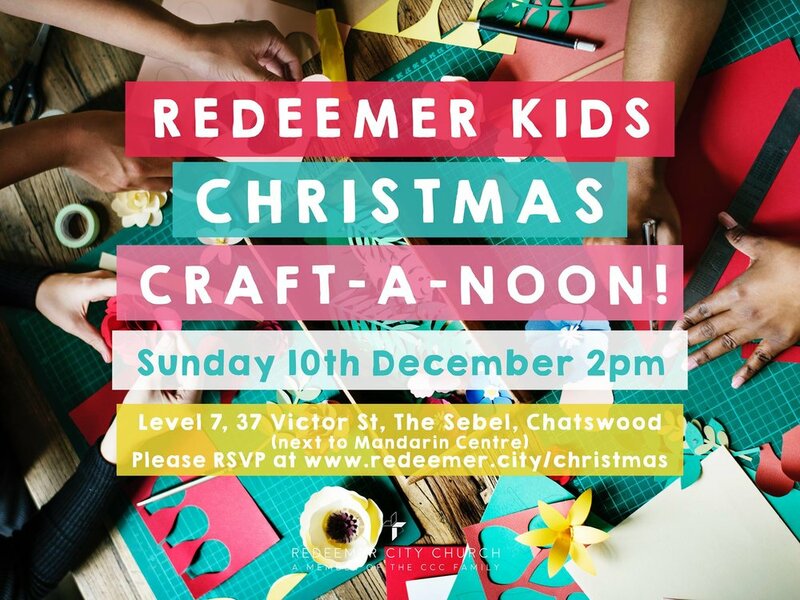 Join us at the Redeemer Kids Craft-a-noon, and celebrate the joy of Christmas with carols, storytime, face painting, and, of course, lots of craft!